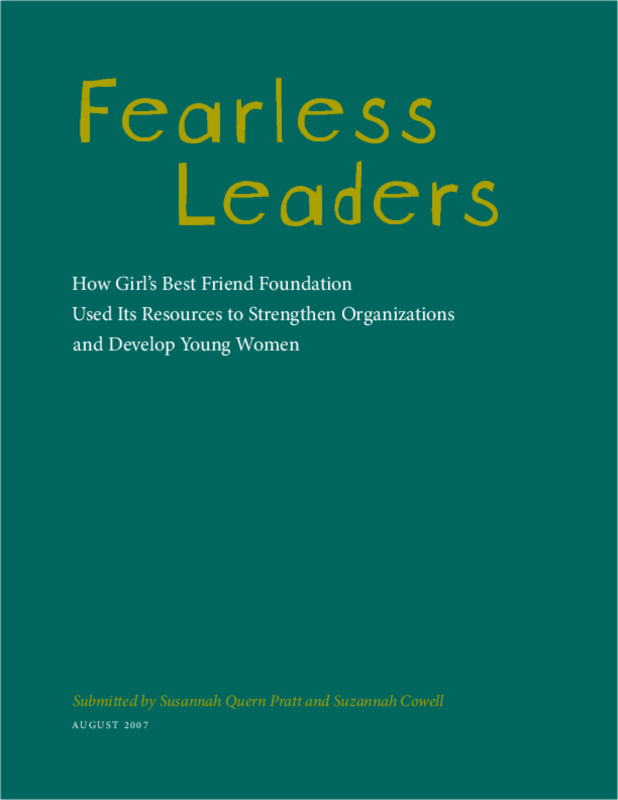 GBF's work established a cohort of young women leaders exhibiting a confident and holistic sense of self who are change agents in their families, communities, and among their peers. Committed program staff -- 100 percent of whom stated they plan to remain in the nonprofit sector -- gained leadership skills, professional development opportunities and programmatic allies through GBF funding and staff support. GBF fostered the development of strong girl-centered organizations, led by activist women and girls. Copyright 2007 Girl's Best Friend Foundation.